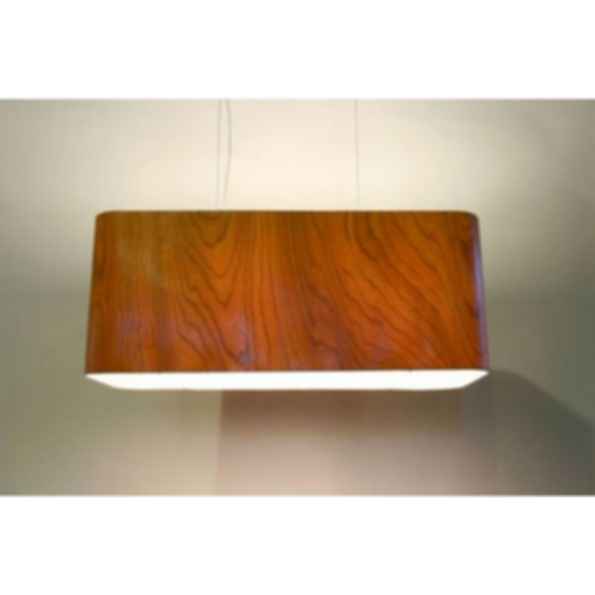 A long graceful pendant with curved corners in beautiful wood veneer. The Mesa Verde is available in Available in Bamboo, Birch, Maple, Cherry, Zebrawood, Wenge, Lime, Lemon, Mandarin, Vermillion, Blue, Grey, Green Pama, Black Oak, Zebrano veneer. Custom veneers available as well. Ready to hang with 1 white ceiling canopy, adjustable cable and one white cord. Dimensions: 30 x 12 x 12" With white polycarbonate bottom diffuser. 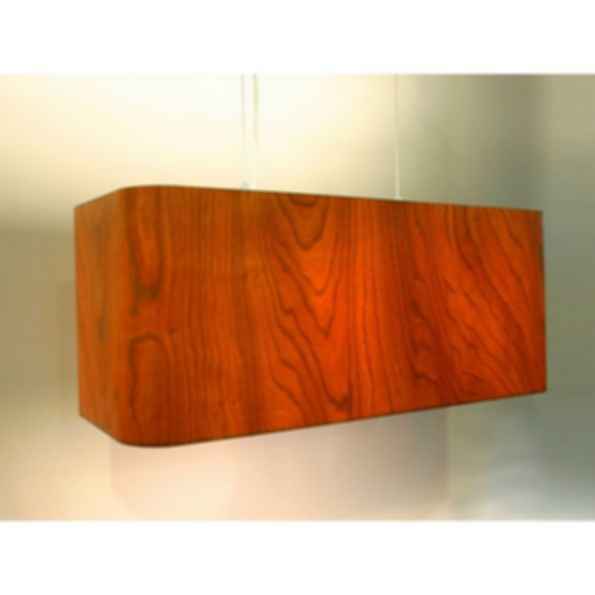 Available in: 4 - 75 Watt Incandescent, 4 - 11 Watt LED Retrofit, 120 Volt White 4 1/2 x 14" powder coated canopy.